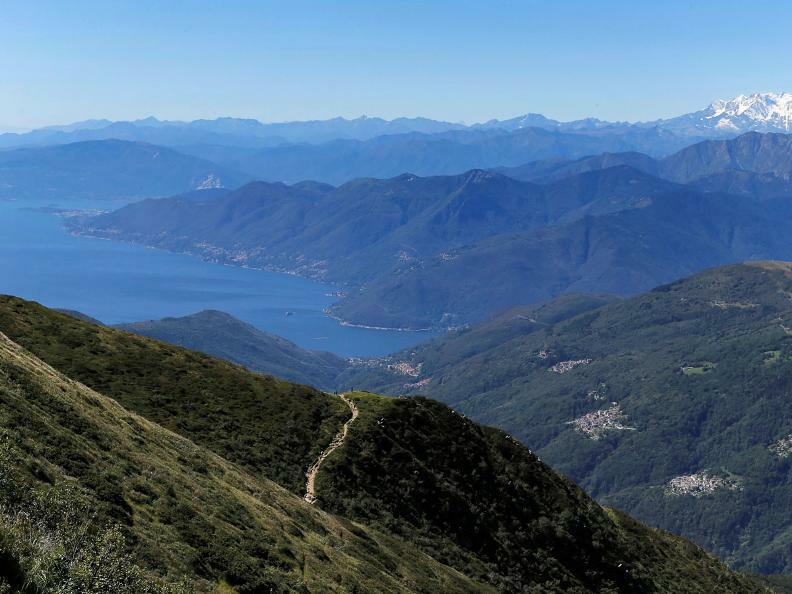 This stage will take you through enchanting natural landscapes and in full view of spectacular Lakes Lugano Maggiore, along the Italian Luinese and Veddasca valleys, and the valleys surrounding the Swiss cities of Locarno and Lugano. 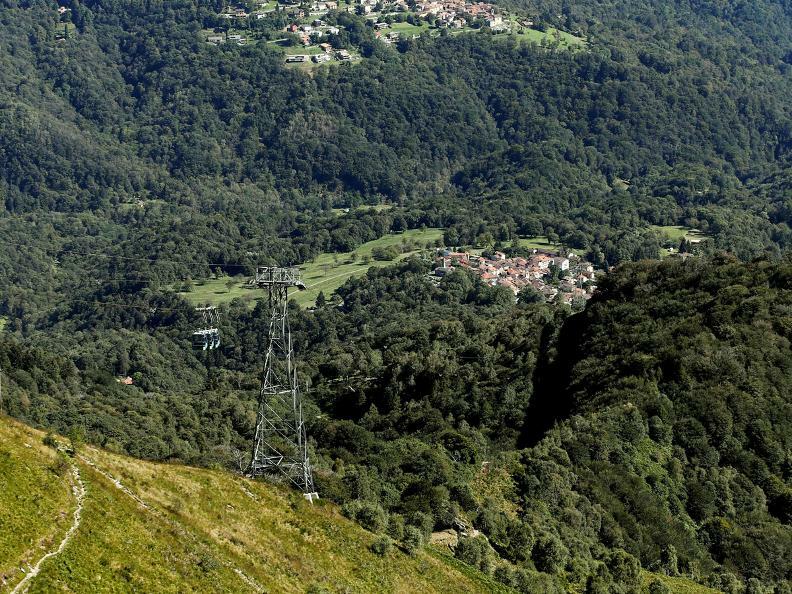 From Bellinzona or Lugano you can get to Miglieglia by bus, where you can take the cable car to the Monte Lema. Plan your return trip in advance unless you intend to spend the night in Indemini or Monteviasco. 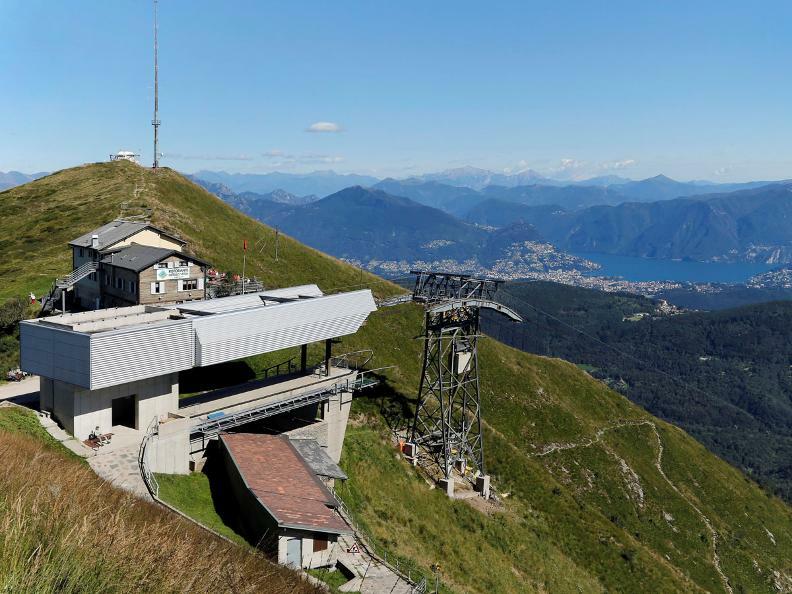 The Miglieglia cable car will take you to the summit of Monte Lema, with its hut and restaurant. From there follow the track to Gradiccioli and Monte Tamaro. 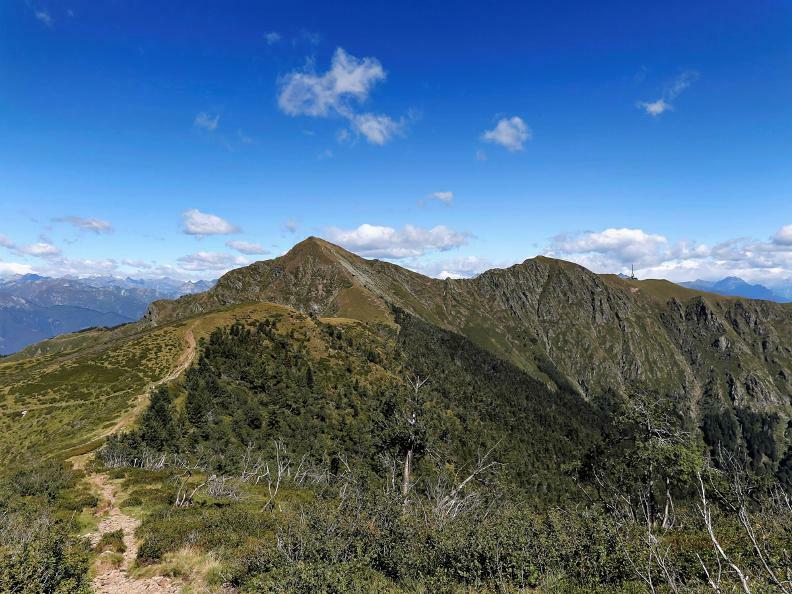 This part of the trail was awarded the so-called "Tramping Oscar" ('Wanderoscar' 2006/2007) as best trekking trail in Switzerland, and it is part of the celebrated Monte Lema -to- Monte Tamaro excursion route. 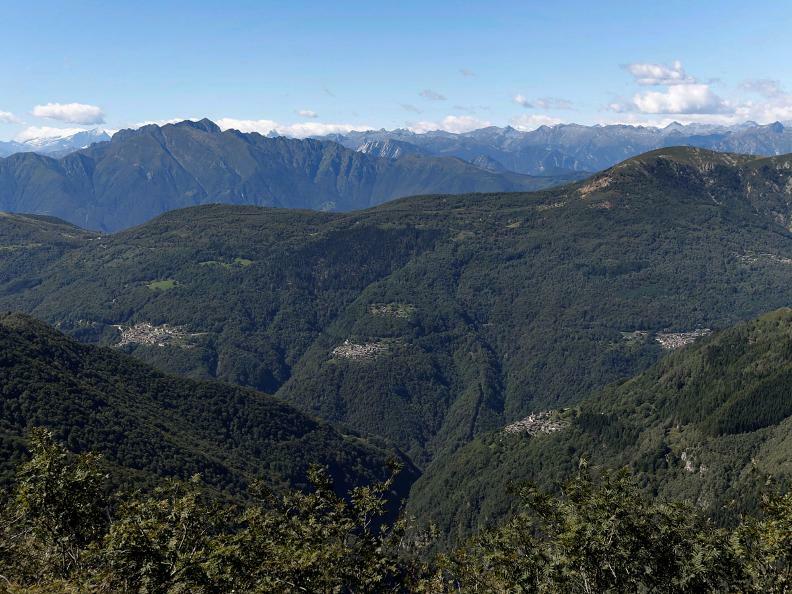 By it you will reach Monteviasco through the enchanting hamlet of Indemini. 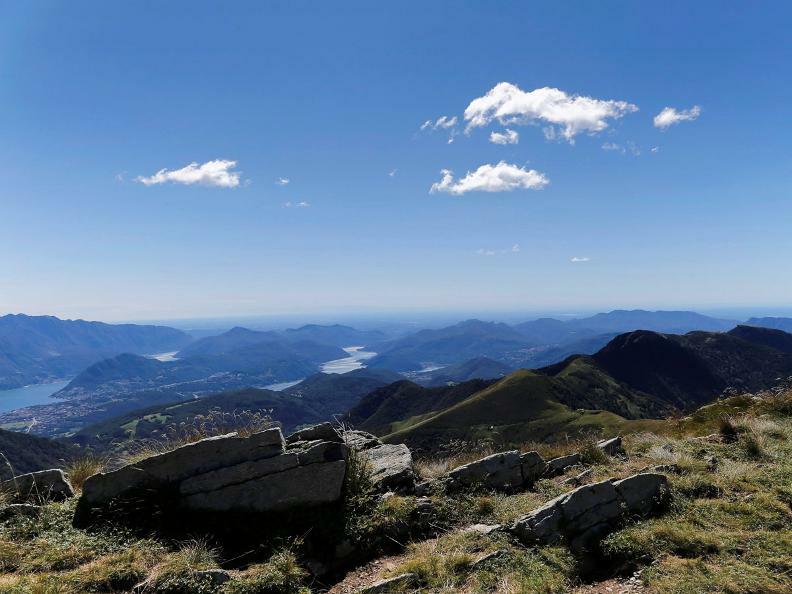 The track will allow you an unimpeded panoramic view on Lake Lugano and Lake Maggiore and attracts fun lovers such as mountain bikers and paragliding pilots. Further along the mountain slope you will find a hut where beverages can be purchased. Continue past Monte Gradiccioli to the Bassa Montoia but do not proceed towards Monte Tamaro. Take the trail's left branch to the Sciaga pastures instead. 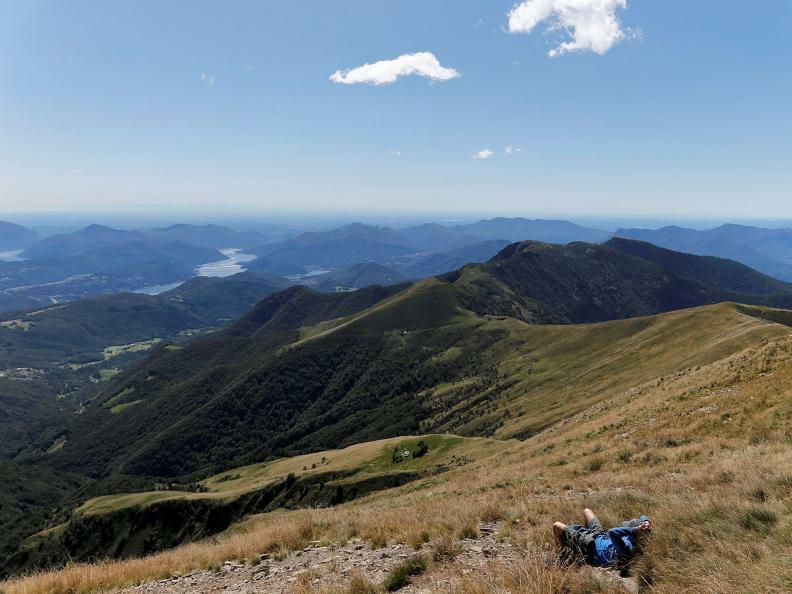 You are now leaving the main track and entering the Swiss Gambarogno region on the "Mountains and Lakes" trail drawn by the Comunità Montana delle Valli del Luinese and by the Gambarogno Tourist Office through the Sciaga pastures. The Sciaga area is a vast pasture and farmland area with an interesting rural settlement. Houses are built following the terrain's relief which gives the settlement is characteristic look. 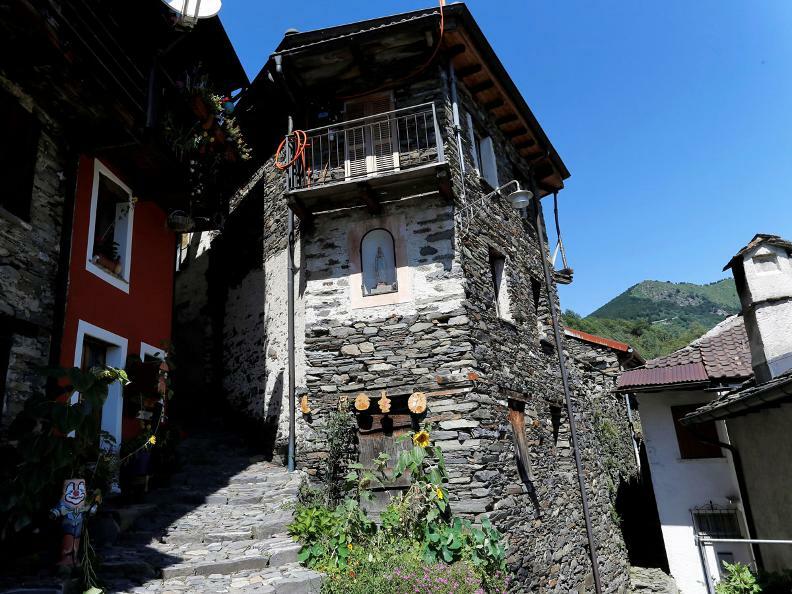 Along the trail you will find Indemini, a perfectly restored medieval hamlet. 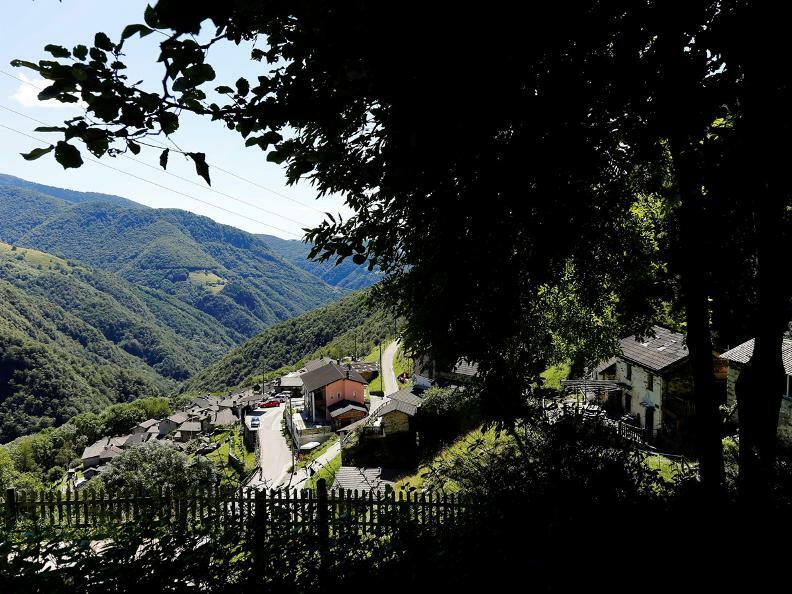 Although it has undergone extensive and continuous restoration work, Indemini is still true to its very ancient self and represent a model Alpine settlement, with buildings built with local materials, so that the village is architecturally consistent and relates harmoniously to the landscape. 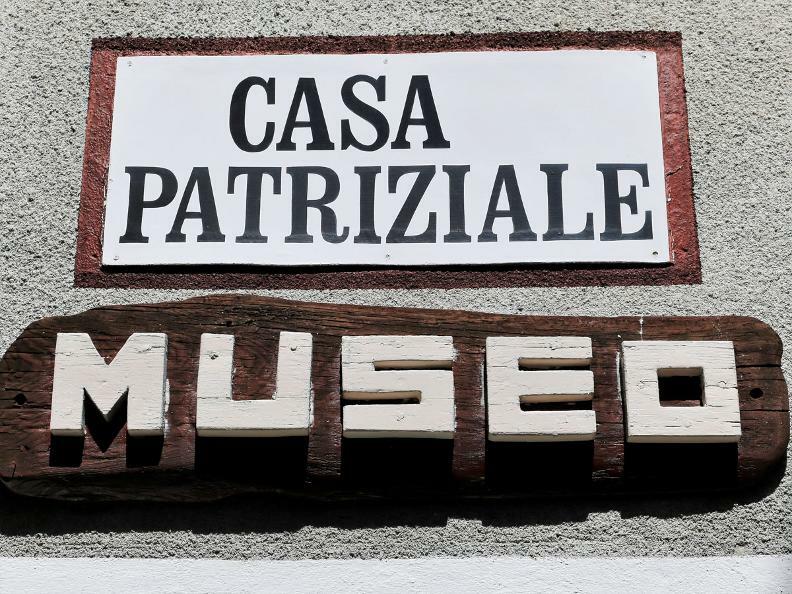 You can find accommodation in Indemini or proceed to the Val Veddasca (Italy), following the signs leading to Piero. 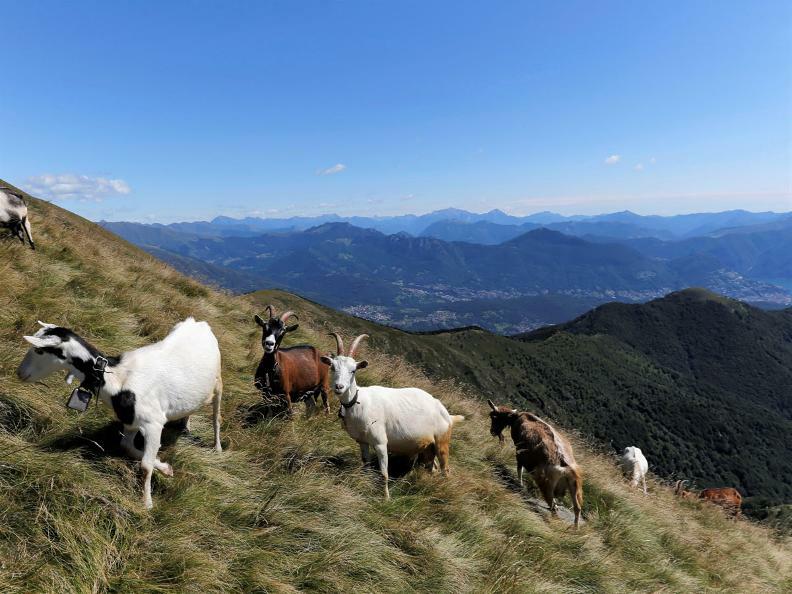 Piero's economy is based on goat farming, the traditional production of cheese and cured meats, and tourism. Further down in the valley, in the Giona flat, the ruins of ancient water mills can still be seen, that were in use in the 18th and 19th centuries. The Piero Mills, built in the local stone and wood were of strategic economic importance for the whole valley. At the Piero Bridge (Ponte di Piero), by the parking lot, you can take the cable car to get to Monteviasco effortlessly (check the timetables in advance) unless you prefer climbing the 1350 step-muletrack with a 375 m drop. Along the way you will pass by the Madonna di Lourdes chapel built in the late 19th century. After that you will see the Schuster Chapel and the ancient Cappella del Redentore. Dry walls and chestnut groves will be the backdrop for your walk to Monteviasco, preceded by the Sanctuary of Serta. After that enter the village and visit its labyrinthine maze of alleys, passageways, and small squares.